This Fiat Ducato CARIOCA 707 7 Berth Motor Home will come with a Full Service, 12 months MOT, 12 Month AA Gold Warranty, and 12 months AA breakdown cover. The van will have a full valet before collection. 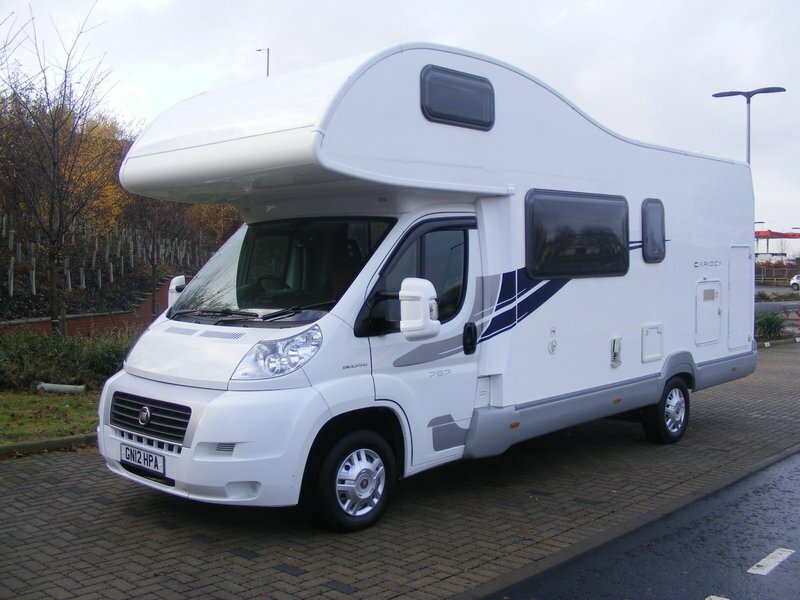 At just under 7 meters long, the CI Carioca 707 is very compact for a 7-berth motorhome. And not only does it have 7 sleeping spaces, but also seven 7 with seatbelts too. Big family camping holidays just got easier. Four of the sleeping spaces in the 707 are double beds one above the driver's cab and bunk beds in the rear. Then there are 3 convertible sleeping spaces in the seating area: one double and one single. At the centre are the compact kitchen and bathroom facilities. Meanwhile, there's plenty of storage space as well as ample-sized fresh- and waste water tanks, which is certainly important when so many people are on board. The vehicle Length 22.9 ft / 699 cm, Width 7.6 ft / 231 cm, Height 10.5 ft / 320 cm. The van will also come with a full 12 months AA Breakdown Cover, if you already have AA Breakdown Cover then we will up-grade you to the next level free of Charge. Cam Autos is a fully licensed FCA Dealer and can offer finance through Moto Novo or Evolution at a competitive rates please ask for details or complete the application form on our finance page at www.camautosglasgow.co.uk. Please contact Colin or Gill on 0141 647 0542 for further information or to arrange a test drive or alternatively just pop into our Dealership at Cam Autos, 105 Farmeloan Road, Rutherglen, Glasgow, G73 1EE. We are open from 8am till 5.15pm Monday to Friday, Saturday from 9am till 5pm and Sunday by appointment ( we are open most Sundays but please call first). Thank-You. Part exchanges are also welcome please complete your vehicle detail on our web page at www.camautosglasgow.co.uk or just pop over to our Dealership for a free valuation. All cars and vans are HPI checked for outstanding finance, Insurance Write off damage and theft.